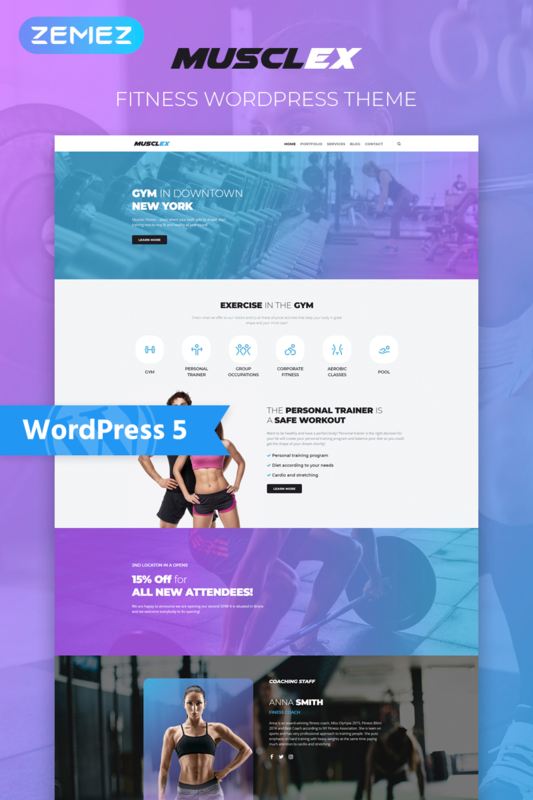 Create a great website presenting your fitness studio with Musclex WordPress theme. 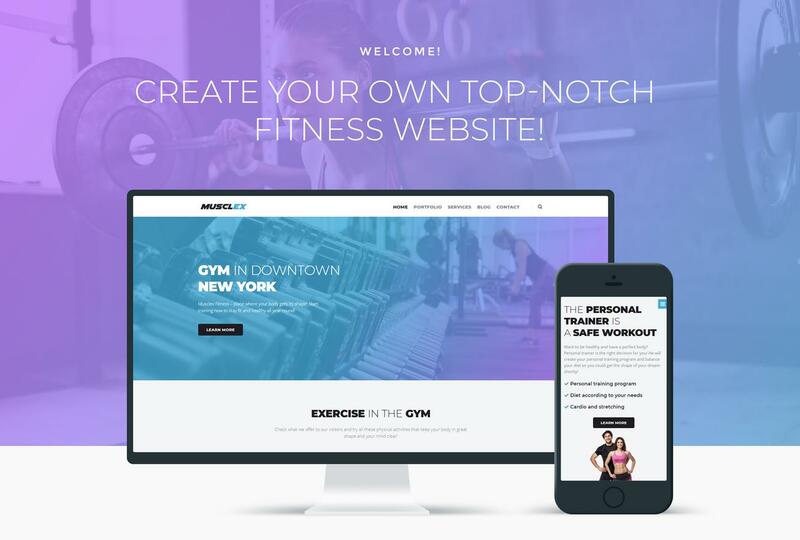 Show all classes provided in your studio, team members, information about your gym and much more using a fully responsive and stylish Fitness theme. You will customize your website according to your needs and taste using a powerful functionality of this theme. 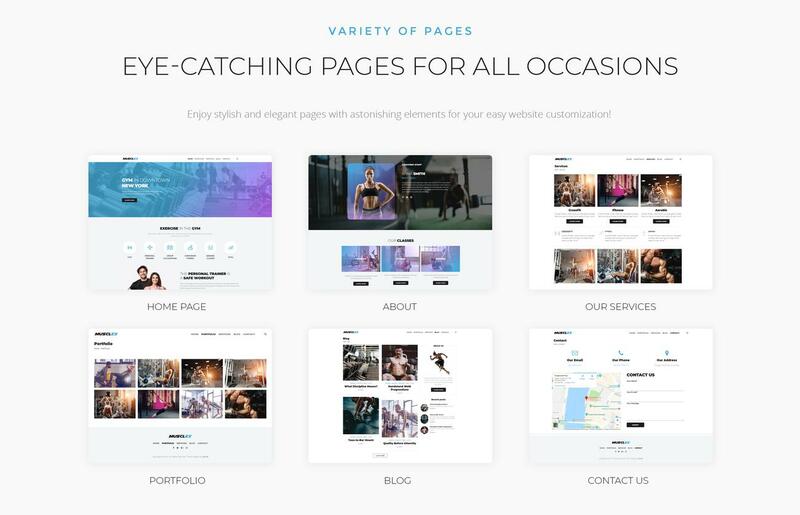 With JetElements plugin for Elementor page builder you will enrich content on the pages with attractive elements and apply different style settings to them easily and quickly. JetMenu plugin is specialized in creating a mega menu with drop-down sections and allows designing their appearance without any coding knowledge. You will be able to inform people about special offers, discounts, etc in the most eye-catching form using Cherry Popups plugin. With Cherry Search plugin you will provide visitors with a convenient search bar, where they will be able to look for needed information on the website. Your fitness studio will become more popular and you will engage more clients using a modern, bright Musclex theme.